Harmful Effects of Cucumber: Is Excessive Cucumber Consumption Bad for You? Cucumbers (scientific name Cucumis sativus) rank among the most popular summer fruits. The USDA estimates the annual average consumption of the cucurbits group of fruits that include cucumber, melon, and watermelon, as 17 kilograms per person. The many health benefits of cucumber give merit to the adage “as cool as a cucumber.” Consumption of cucumber ensures a radiant complexion, lowers blood pressure, hydrates the body, cools the skin, and is a rich source for essential nutrients such as fiber. The health benefits notwithstanding, excessive consumption leads to the risk of suffering certain harmful effects of cucumber. Cucumber contains small patches that taste bitter. These portions contain the extremely toxic tetracyclic triterpenoids or cucurbitacins compound. Excessive consumption of this compound can cause even death. Cucumber juice remains increasingly susceptible to this bitter tasting toxic compound, and for this reason, it is best to avoid bitter tasting cucumber juice. One major harmful effect of cucumber consumption in excess is the risk of fluid loss and consequent body imbalance. Cucumber seeds contain cucurbitin and fatty oil that have mild diuretic properties. Excessive consumption of cucumber increases the effect of this diuretic, and might lead to loss of fluids and electrolytes from the body, causing imbalances, and even dehydration in extreme cases. The flesh of cucumber is rich in Vitamin C or caffeic acid, and the skin is rich in fiber and minerals such as silica, potassium, and magnesium. While all these minerals and nutrients provide the body with much benefits, excessive consumption trigger their harmful side effects. Vitamin C, also known as ascorbic acid prevents scurvy and is an anti-oxidant. Vitamin C however also becomes a pro-oxidant that promote the growth of free radicals and harm body cells, under certain conditions. Similarly, excessive potassium causes hyperkalemia or a condition that leads to reduced kidney function, and excessive fiber cause intestinal gas, bloating, and abdominal cramps. Over 90 percent of cucumber is water, and the dangers of excessive water consumption apply to excessive cucumber consumption as well. Excessive water intake increases the total blood volume, and put strains on blood vessels and the heart, as well as cause an unnecessary wear and tear on the kidneys. Excessive water also drops the concentration of electrolytes in the blood, causing water to seep in and swell the cells, leading to a variety of conditions ranging from headaches to impaired breathing. 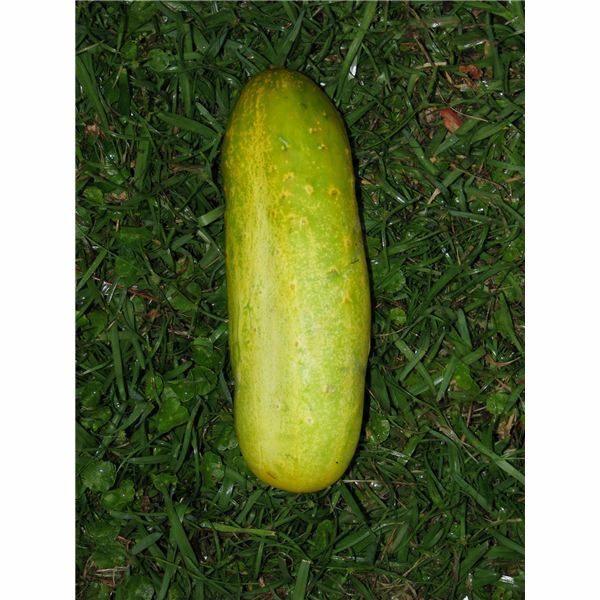 Cucumbers are a fragile fruit, and most farmers wax the skin at the growing or plucking stage to protect the fruit from insects, or prevent damage while shipping. Most waxes contain compounds such as ethyl alcohol, soaps, and milk casein. Milk casen is linked to milk allergy. Excessive consumption of cucumber skin leads to the dangers of such harmful compounds entering the body. As the saying goes, “too much of a good thing is bad.” The optimal quantity of intake, however, depends on the individual’s nature and constitution. Now that you know more about the harmful effects of cucumbers eaten in excessive quantities, you are better equipped to decide how much of it to eat. Please read this disclaimer regarding the information contained in this article.